More Links in our Photo Gallery! 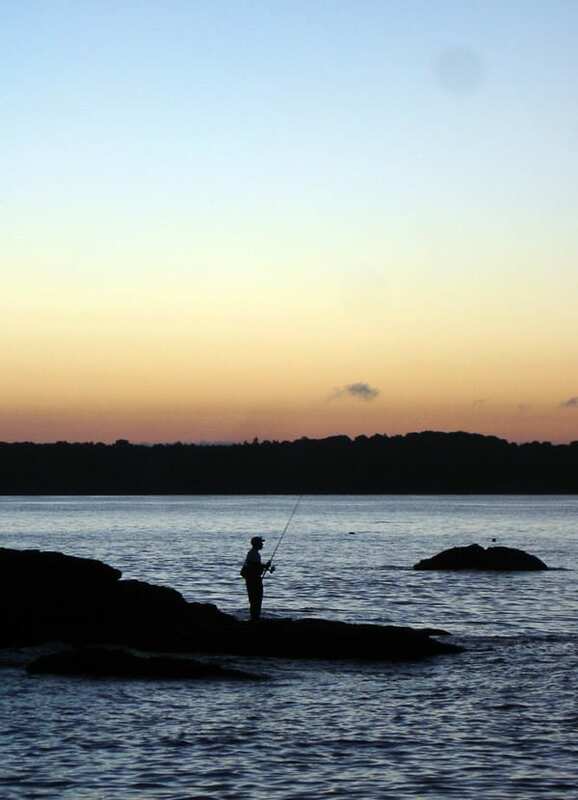 Since 1952 The Hartford Surf Fishing Club has endeavoured to promote and preserve the fine tradition of salt and fresh water angling on Connecticut's shoreline and tidal estuaries such as the Connecticut, Thames, and Housatonic River systems. Our monthly meetings often include Top Notch area speakers with in-depth local knowledge such as John Planeta(Fluke Extrordinaire),Bruce Millar(Consecutive 50# plus seasons!) and crowd favorite Al Gag(hint-you probably have several of his lures in your bag!). Our in-house tackle shop can help outfit you at better than retail prices! If Jeff don't have it, you dont need it! Meetings OPEN TO THE PUBLIC! If you like what you see, and if you love to fish like us, JOIN! Standard bull session with raffle, see ya there! Monthly meetings are held at the ROCKVILLE FISH AND GAME CLUB,Fish and Game Rd. (off Rt 31), Tolland,Ct. on the second wednesday of the month. Club business is conducted as well as a guest speaker and raffle. We also have an in-house ongoing fishing contest with boat and shore divisions and a year long contest with our friendly rivals from the Pioneer Valley Fishing Club which concludes with a great awards ceremony and dinner.MEMBERSHIP IS NOT REQUIRED TO ATTEND A MONTHLY MEETING! Come check us out and join later if you like it! Congrats to Pete Palicki-Member of the Year! Wed. March 13th, 2018@ 7:30 p.m. Doors open at 7pm. Directions:Exit 67 off I-84. Eastbounders go right off ramp,westbounders go left. go up hill approx 1 mile,first right onto Fish&Game Rd. 1/10th mile on left is the Rockville Fish&Game Clubhouse.Come on in! In like a lion, out like a lamb. Spring's comin'! Get a kid hooked on fishing.